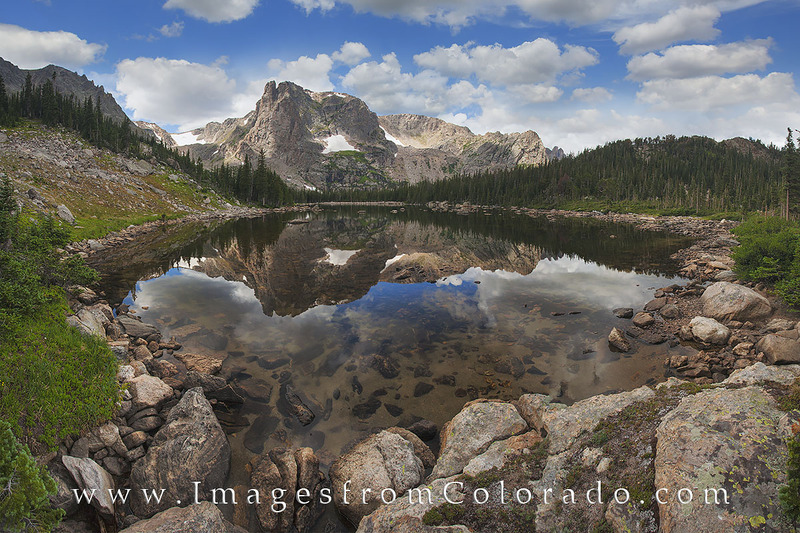 Two Rivers Lake is one of the many hidden treasures of Rocky Mountain National Park. On a trail several miles from Bear Lake, slightly off the beaten path, you’ll often find still waters, no crowds, and breathtaking views. You won’t find this lake on many maps, but a GPS can often help you locate this pristine location. Photo © copyright by Rob Greebon.